UK based company Kingswood Air Conditioning have launched the StaySafe solution to monitor the safety of their lone working engineers. 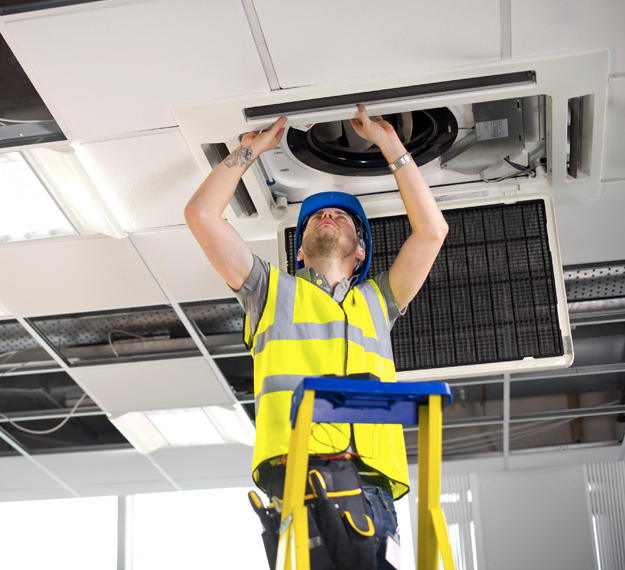 Kingswood provide servicing and installation of air conditioning equipment to businesses across the UK including NHS and University buildings. Their engineers often travel and work on sites alone, working at height and with heavy equipment. Slips, trips and falls and heavy lifting are two of the top causes of workplace accidents, accounting for 2.1 million working days being each year (HSE 2014/2015). Engineers working in the facilities management industry are particularly vulnerable to these top risks as well as fire, electrocution and being struck by an object. When working alone and an accident occurs, receiving immediate help may not be possible. Therefore, it is crucial that lone workers have a way of alerting someone if they are in trouble and in need of help. With Kingswood operating an out of hour call service this became a top priority for the business. Prior to launching the app and hub Kingswood employees were expected to call into the office on an hourly basis to confirm they were safe. However, employees were not always following this procedure and problems with phone signal meant that they couldn’t always keep in contact. After researching the market for a more reliable and less time consuming solution, Kingswood selected StaySafe. James Oliver at Kingswood comments, “The StaySafe app provides peace of mind that our employees are safe while they work alone. StaySafe is the most user-friendly solution we have seen and both the Hub and the app are extremely simple to use. The man-down feature as well as location monitoring were particularly important to us when selecting a solution and StaySafe ticked all the boxes. The solution overcomes many of the issues we faced before such as out of hours monitoring and lack of phone signal at some of our sites. We now feel confident that we are meeting our duty of care to our lone working employees around the clock”.